There are many ways to say thank you, and to acknowledge all that is done within guiding, including County, Region and National awards. These recognise and reward the work that our volunteers do which is over and beyond their roles in Girlguiding Hertfordshire. 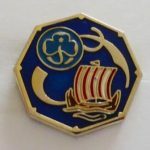 Each nominee for a County Award should be proposed and seconded by members of Girlguiding Hertfordshire and approved by the appropriate commissioner, who must not be either the proposer or seconder and not related to any party. The nomination process is now closed. For more information about County Awards please contact Janice Hyde, Chair of the Awards Committee. This certificate can be awarded to an adult who has been nominated by a Leader or their District, Division, or County, and who is recognised by the proposers as having given excellent service to Girlguiding Hertfordshire. The nominee, who need not be a member of Guiding, should demonstrate their support for the principles of Girlguiding. This certificate is awarded to a Leader, Commissioner, or Adviser who has been nominated by a Leader or their District, Division, or County, and who is recognised by the proposers as having given excellent service to Girlguiding Hertfordshire. It can be awarded to an adult member, and is not automatically awarded to adults completing a term of office. 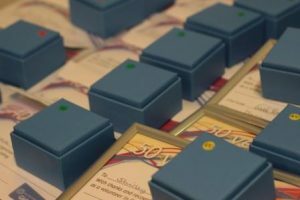 Whilst this award is not given to recognise service, it is anticipated that the majority of recipients will have been delivering great guiding experiences for a sustained period of time. 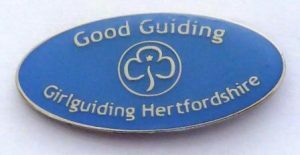 This badge is awarded in recognition of continually delivering exceptionally ‘good guiding’ experiences to members of Girlguiding Hertfordshire. The nominees should demonstrate their enthusiasm and ability in providing ongoing quality and challenging experiences to their Unit, Section, District, Division or County in line with the Promise and Law and the 5 essentials. This badge can be awarded to an Adult Member. Whilst this award is not given to recognise service, it is anticipated that the majority of recipients will have been delivering great guiding experiences for a sustained period of time. For more information about Anglia Awards and details on how to make a nomination visit the Anglia website. There are many national awards that can be given to volunteers. These include: – Thanks Badge – Good Service Brooch – Long Service Awards (awarded automatically) Members can also be nominated for the following discretionary awards: – The Guiding Star – The Laurel Award – The Silver Fish – National Honours (e.g. MBE, OBE, CBE) Click here for more information about Girlguiding awards.